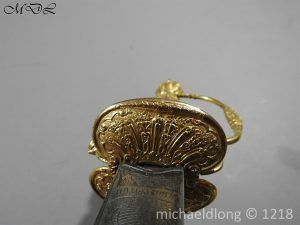 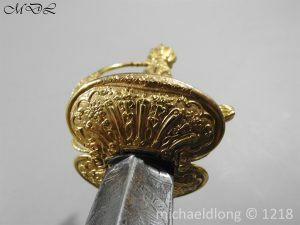 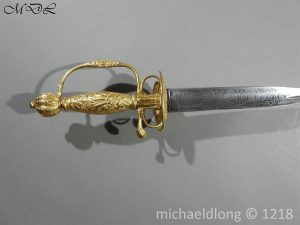 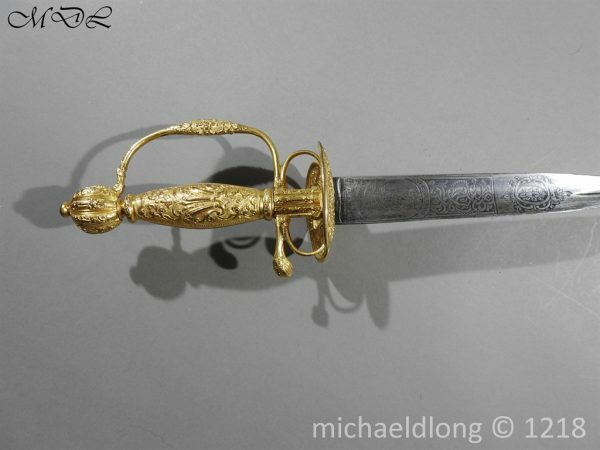 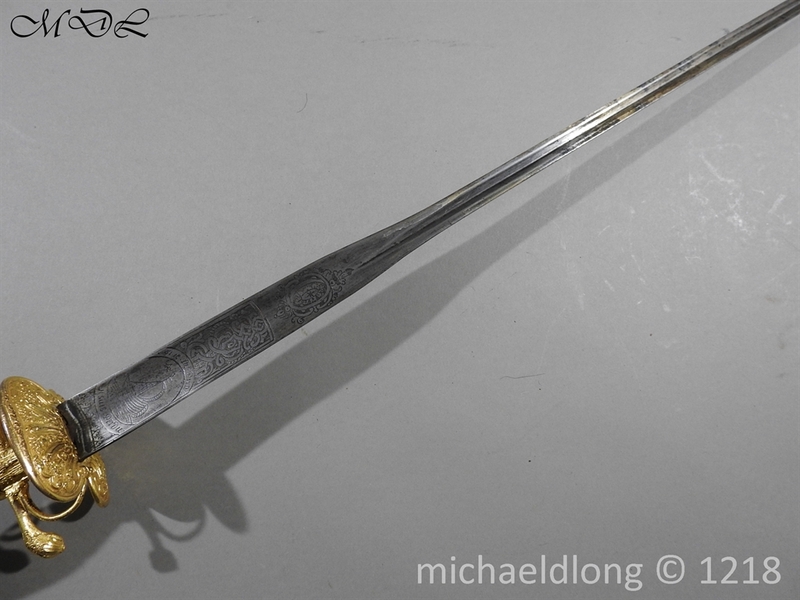 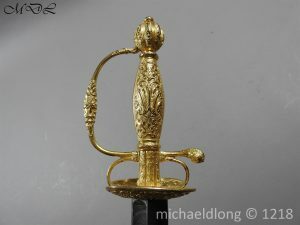 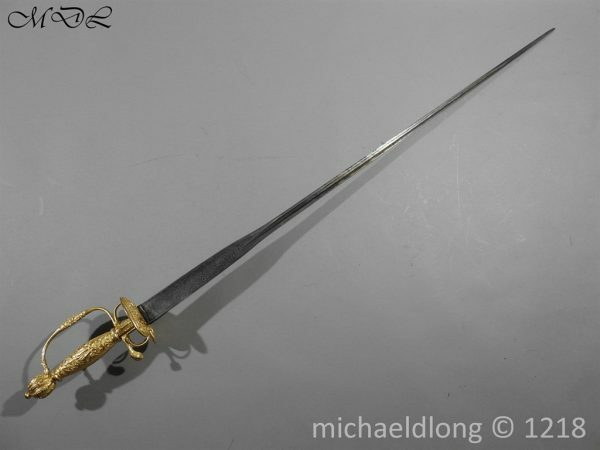 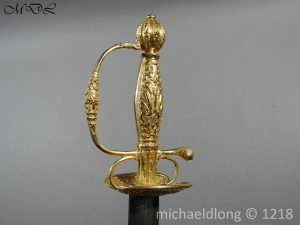 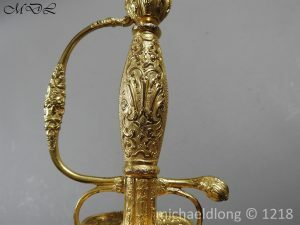 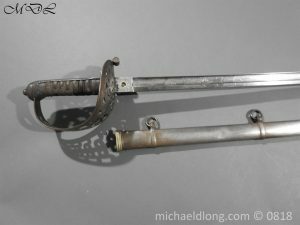 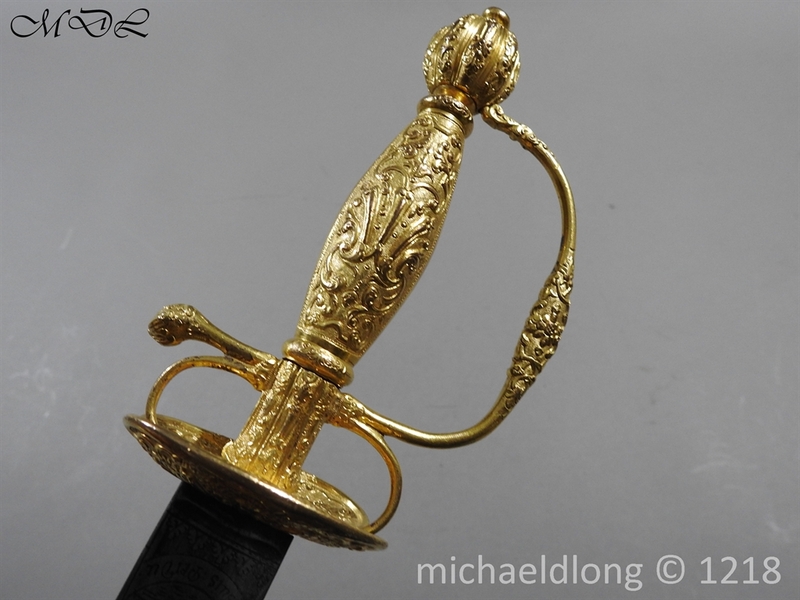 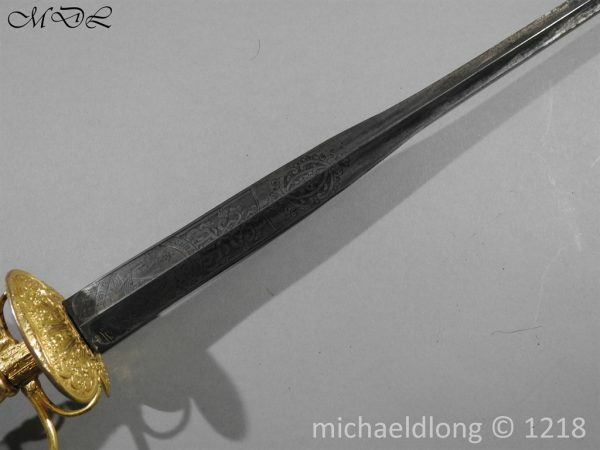 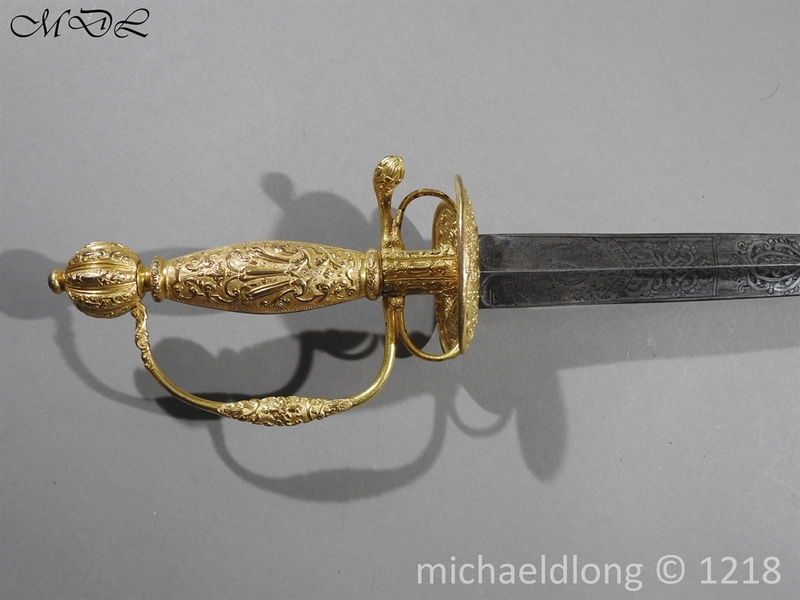 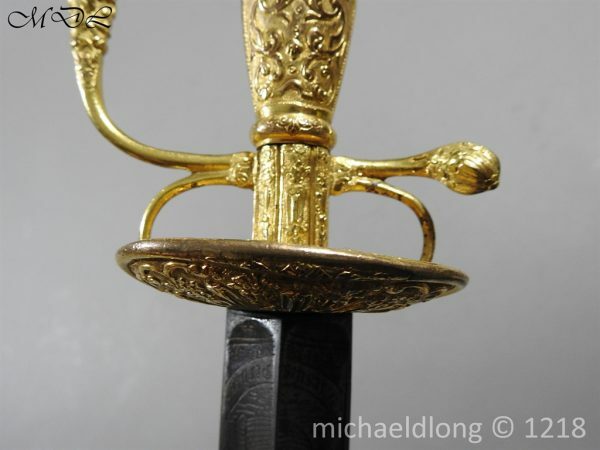 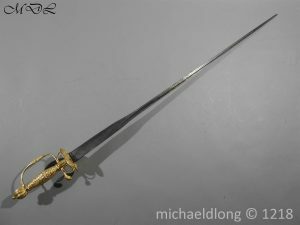 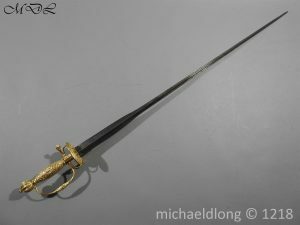 A French Gilt sword sword c 1780 with ornate gilt small sword hilt embossed with floral decoration and matching shell guard. 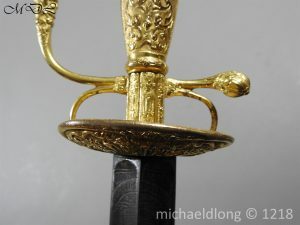 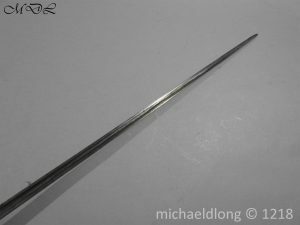 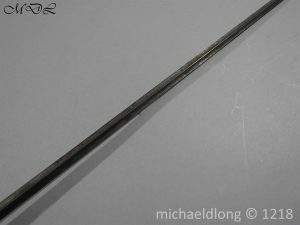 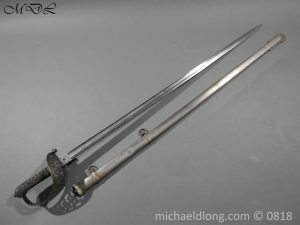 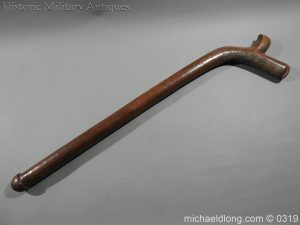 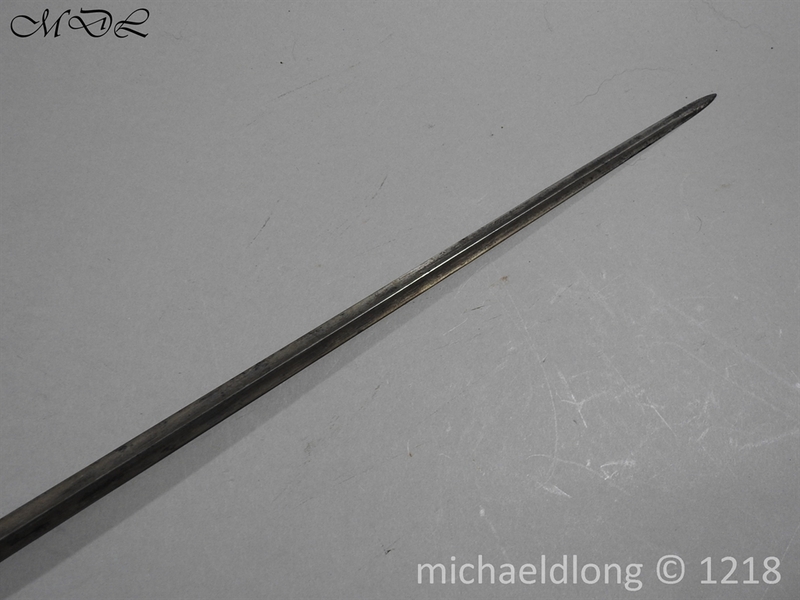 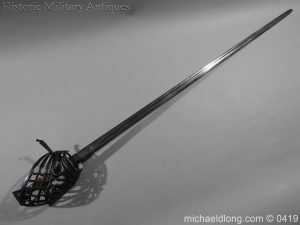 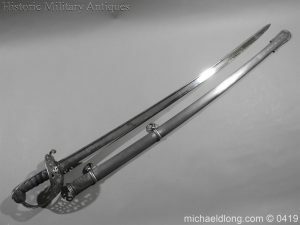 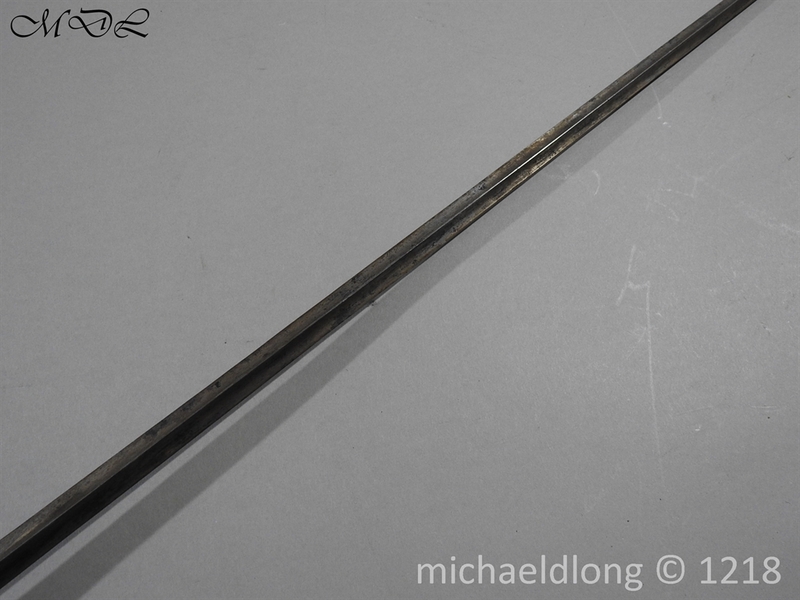 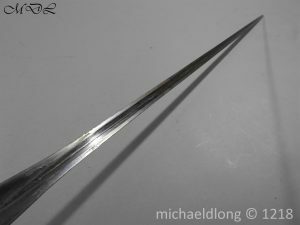 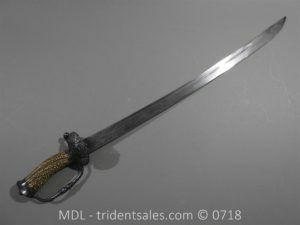 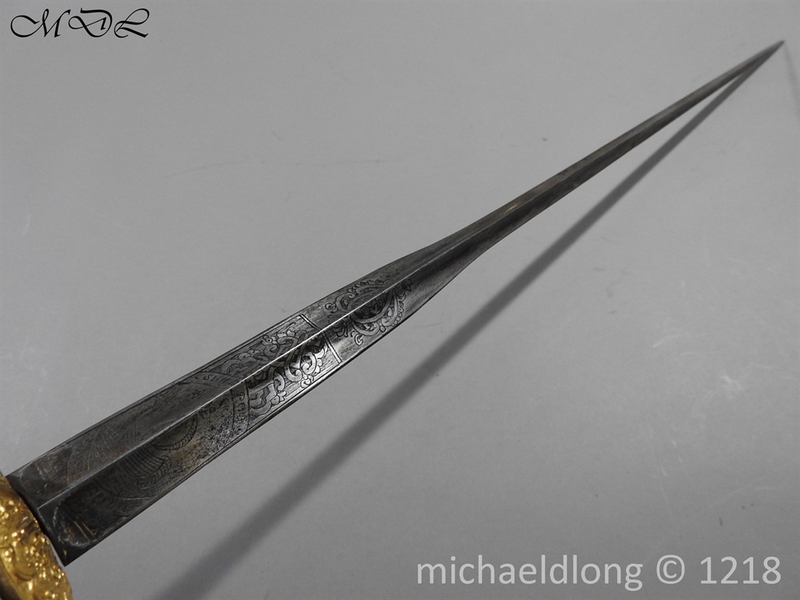 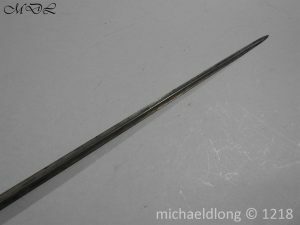 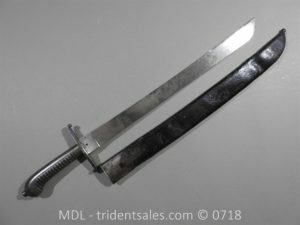 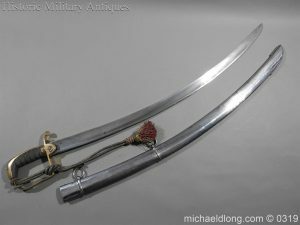 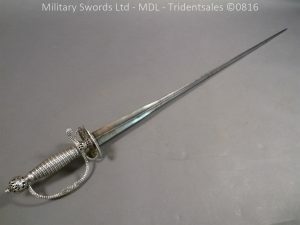 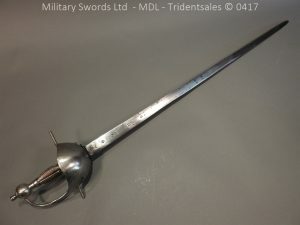 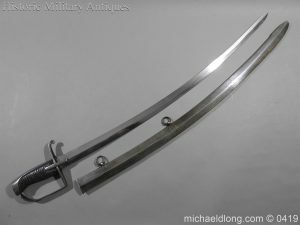 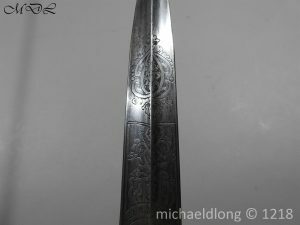 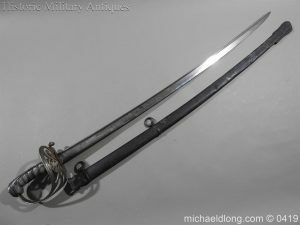 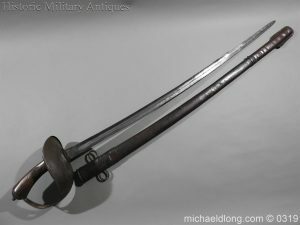 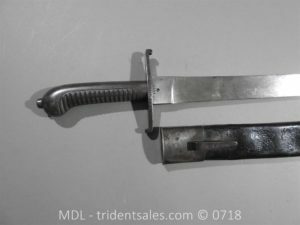 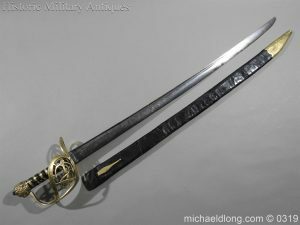 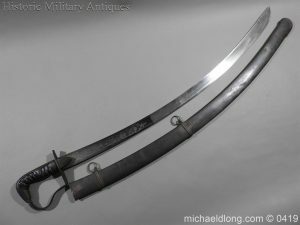 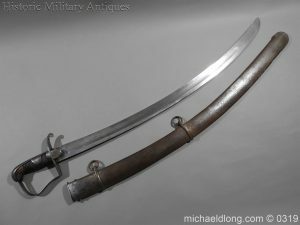 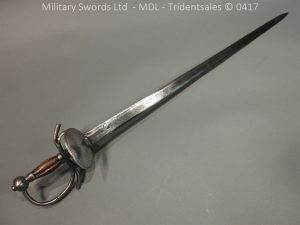 The colichemarde blade is 85cm in length with age colouring. 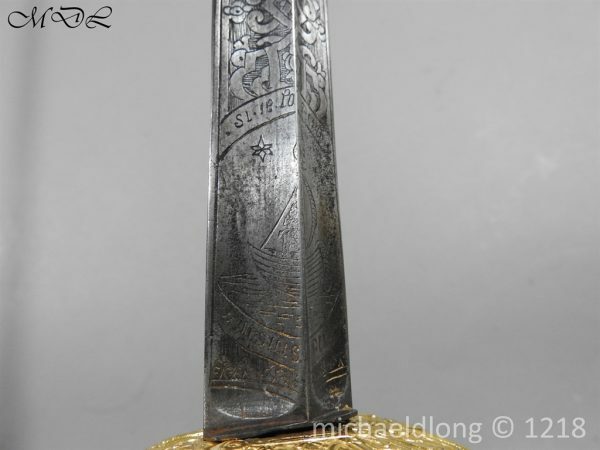 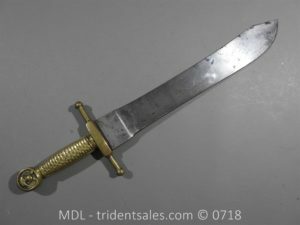 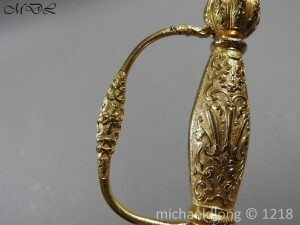 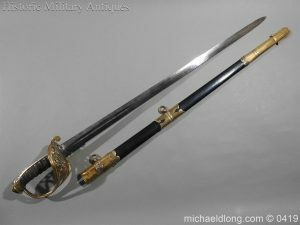 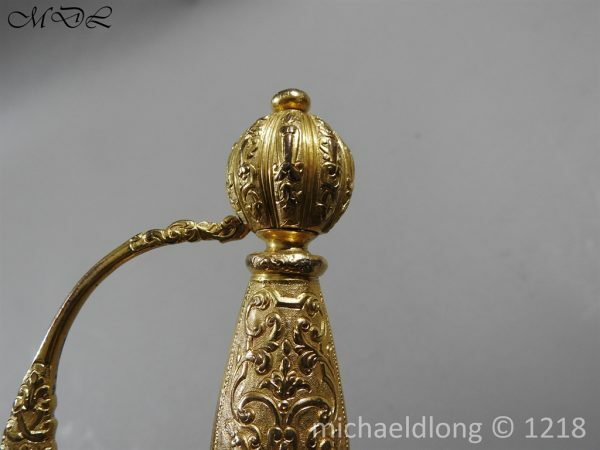 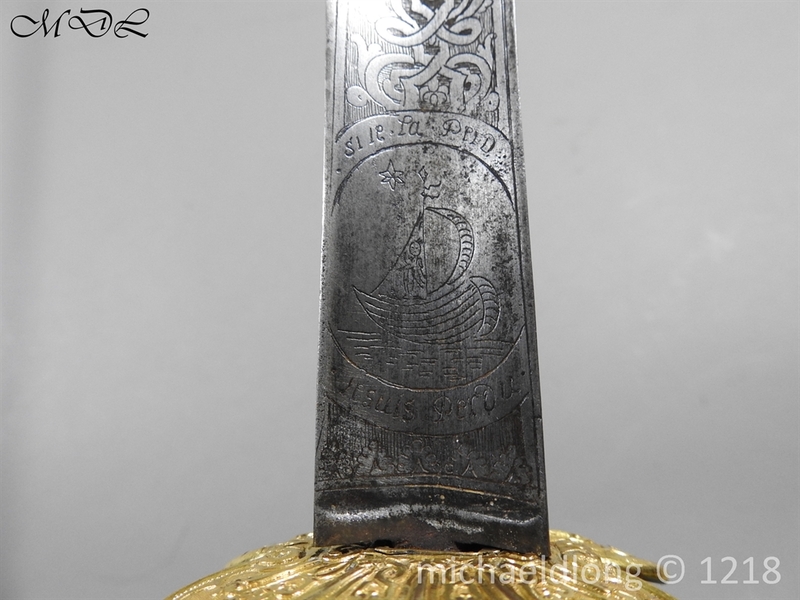 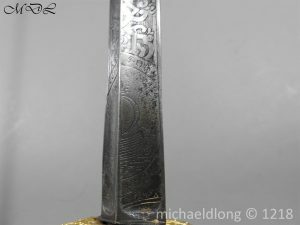 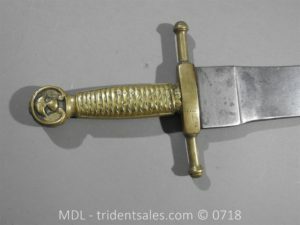 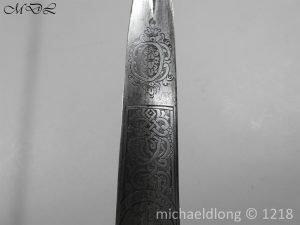 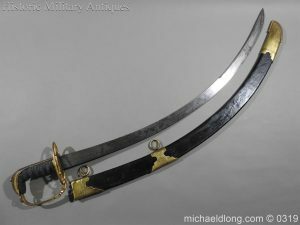 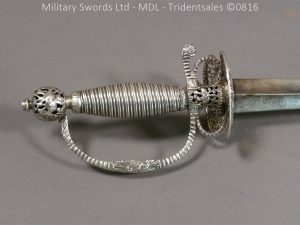 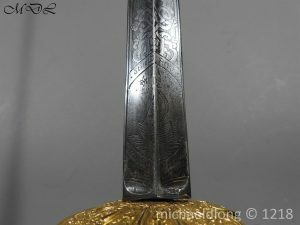 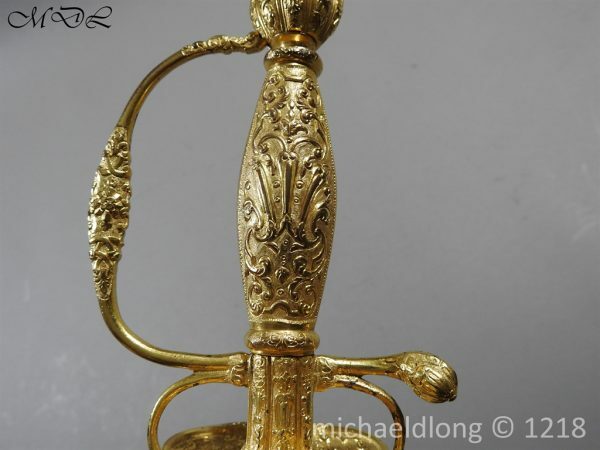 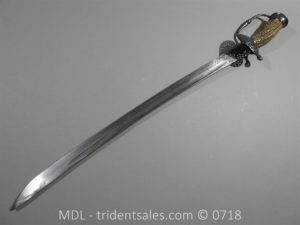 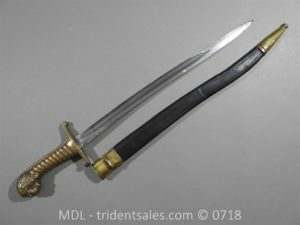 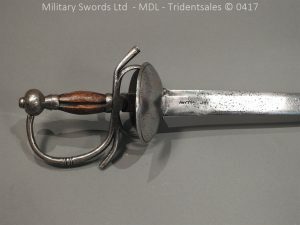 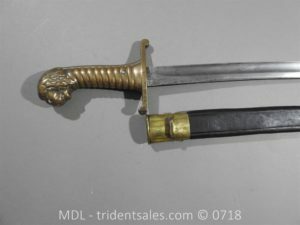 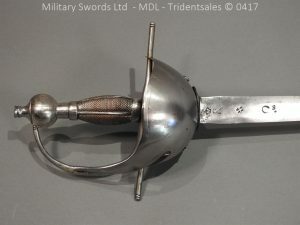 Engraved with floral decoration and sailing boat to center on each side which is surrounded by French inscription, the hilt retains 95% plus of the gilt finish with only a few raised area’s with wear overall a stunning sword.